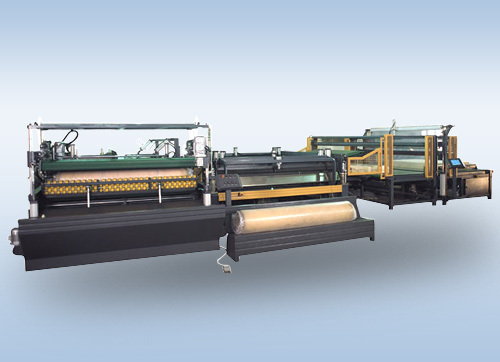 Automatic Mattress Compressing Roll Packing machine LR-CP-MF+KP-15P can not only pack the mattress or foam, but can also compress them. Firstly, it packs product with plastic. Secondly, a new advanced platform will flatten the product in high speed. And then seal the package. Finally, the mattress or foam is compressed and packed. 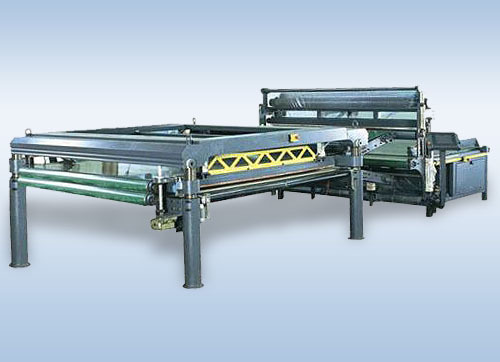 If you need to roll the compressed&packed product, there is an equipment for you to roll them, LR-CP-MF+KP-15P is special for enterprises who manufacture a mass of mattress or foam to furthest save the cost of storage and transportation. 1. 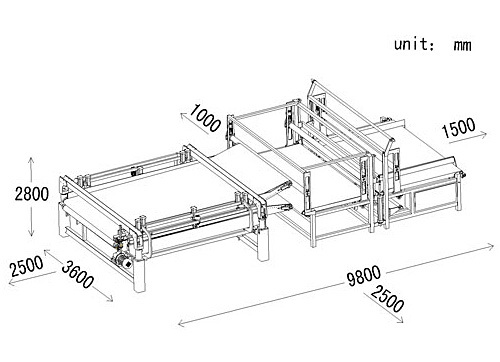 Integration with packing and compressing Automatically for mattress ( or foam , latex). 2. Save storage and delivery cost. 3. Perfect seal of film provides more security in storage&delivery. 4. CE-Conform / International standard components. 5. Automatically compressing&packing one unit in 40 seconds. 6. Accepts all kinds of finished mattress and soft cushions made from sponge. 7. 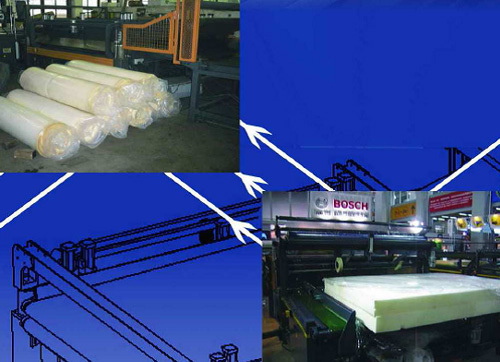 Available wrapper : PE, PVC, PU. 8. 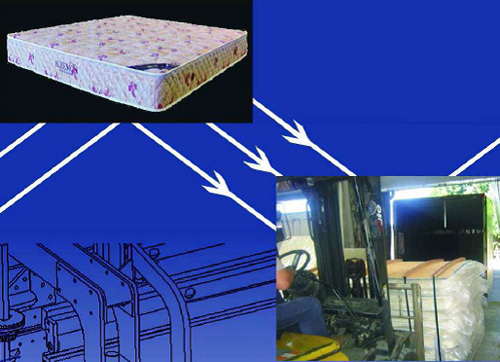 Compressing rate up to 85% (depends on the quality characteristics of mattress). 9. Continuous heat seal bars / unique water&air- circulation system to chill heat-seal bars to make perfect seal. 10. Compact design minimizes floor space. 11. Low and easy maintenance. 12. Easy to operate / short training period.